The Export Google Shopping module will allow you to send the list of products of your shop to Google Merchant Center and publish your products catalog on Google Shopping page results. 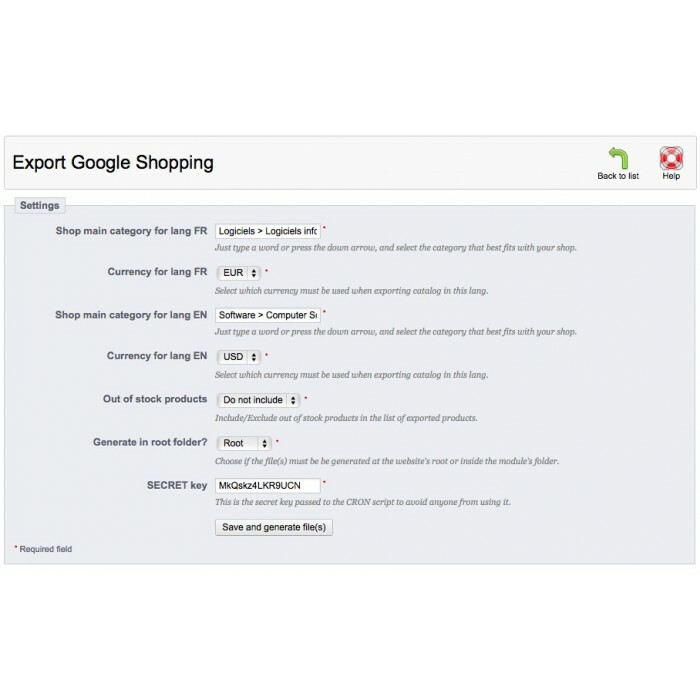 Easily export your products catalog to Google Merchant Center! Google Merchant Center is a tool which helps webmasters upload product listings to be used for Google Shopping. Google Shopping allows shoppers to quickly and easily find products on Google. It's a great chance for you to make your products available for sale on the Google Shopping page results and increase the visibility of your shop on the web. All Google mandatory fields are supported by the module. You can set Google to retrieve the files generated by the module on a regular basis (ex: every nights) to maintain your catalog up-to-date in Google Shoppping. The module embeds the official Google product taxonomy files (categories) for US, Germany, Spain, France, Italy and Netherlands countries! 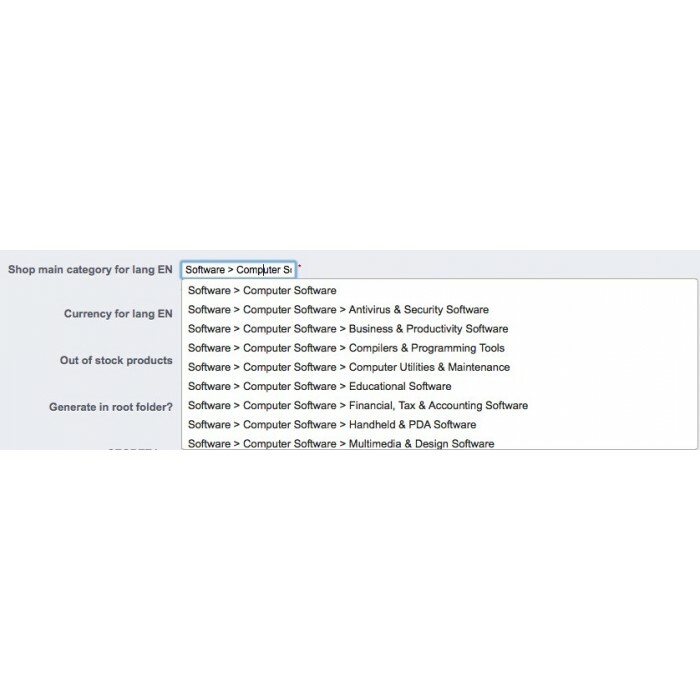 It has a powerful auto-complete tool that allows you to easily seek through and choose the category of your choice. 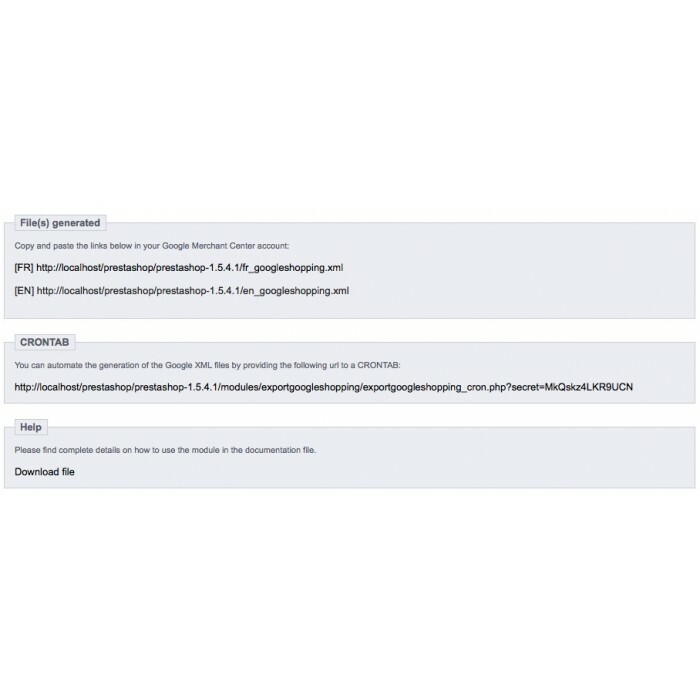 Export Google Shopping module also comes with support for CRONTAB to automate the file generation process securely! This new version provide supports for product prices / sale prices!